By providing a superior quality of support, knowledge and service to help our clients achieve their utmost success. Our "Practice made Perfect" Software is one of the most versatile and easy to learn billing programs on the market today. Your billing will continue on a steady course and so will your cash flow. Our goal is to increase your cash flow at the lowest possible cost. We offer exclusive consulting to train your staff and faculty on how to best manage your business while maximizing your profitability. 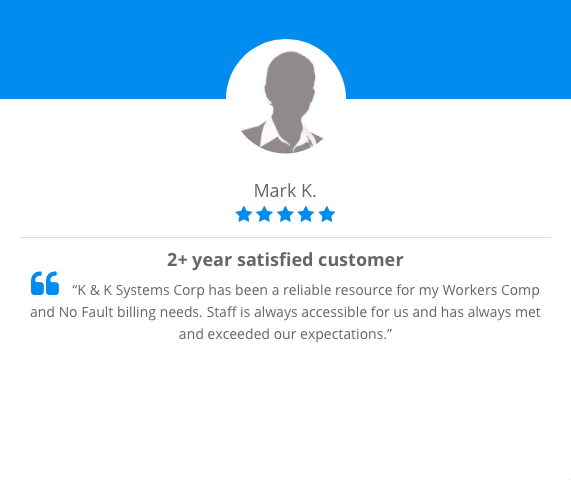 With over 36 years of experience, K & K has become a recognized leader in the industry. We are the creators and developers of our own software allowing us to offer the most hands on customer support in the market. A complete yet affordable practice management and billing software program for Physicians, Chiropractors, and Physical Therapists. Your financial strength is directly related to timely and accurate billing and reimbursement. We will analyze how to improve your billing and may introduce new ideas to help your practice grow. With a client data base that extends from California to New York, and Alaska to Florida, we have made thousands of users our number one priority! 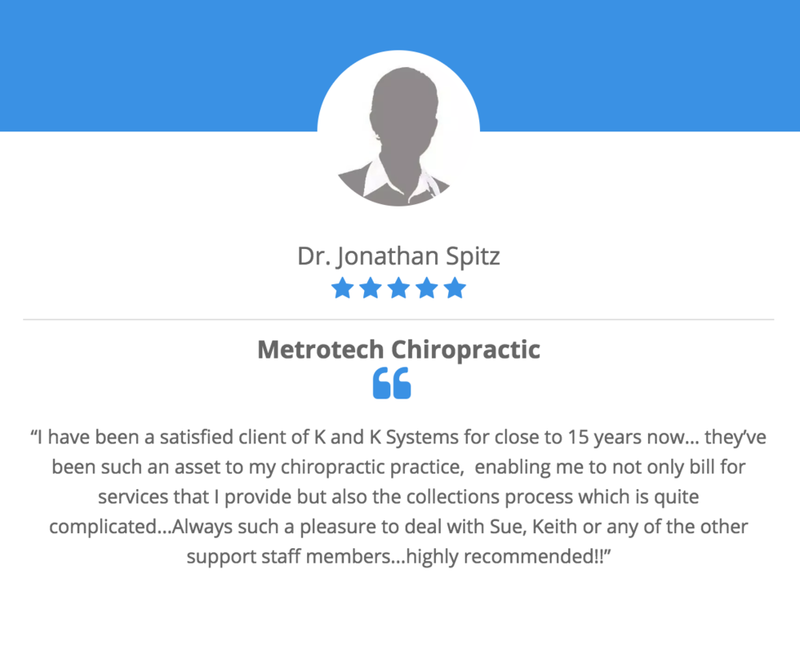 Take a look at what our clients are saying about us. Stay up to date on our offerings and industry news!